Microsoft have recently announced that Windows 10 is to be expected soon and at the Windows Blog we did see some screenshots of what to expect and it’s features. 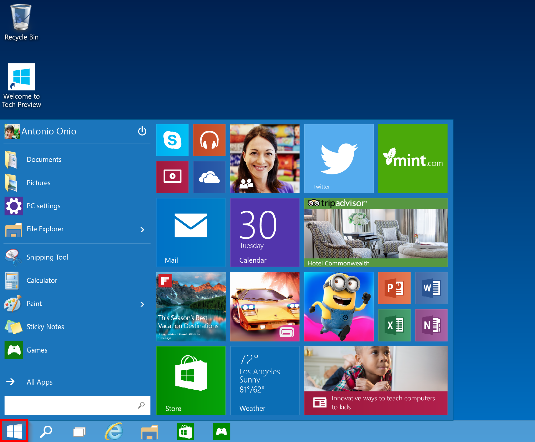 Windows 10 will be different as it will be one common platform which would work on your PC, Laptop, Smartphone etc. Meaning that the same app can be installed on your PC as well as your mobile. For those of you who loved the start menu, guess what, it is back! The famous Windows start menu is back like before. Another exciting upgrade to Windows 10 are the ability to re-size apps downloaded from the store to any size that you like. The apps would work just like desktop software which has options to re-size the window side. In our tutorial we will show you how to install and Setup Windows 10 for general users on PCs. Setup or flashing of Windows 10 on mobile and other devices would be different depending on how the manufacturer supplies the upgrades. If you have installed Windows 7 or Windows 8 you should not have any trouble installing Windows 10. In our example we are installing Windows 10 on an Ultrabook with i7 CPU. To perform the setup is similar to how we install Windows 8.1 so please follow the instructions here.